There's so much to do before you say "I do!" 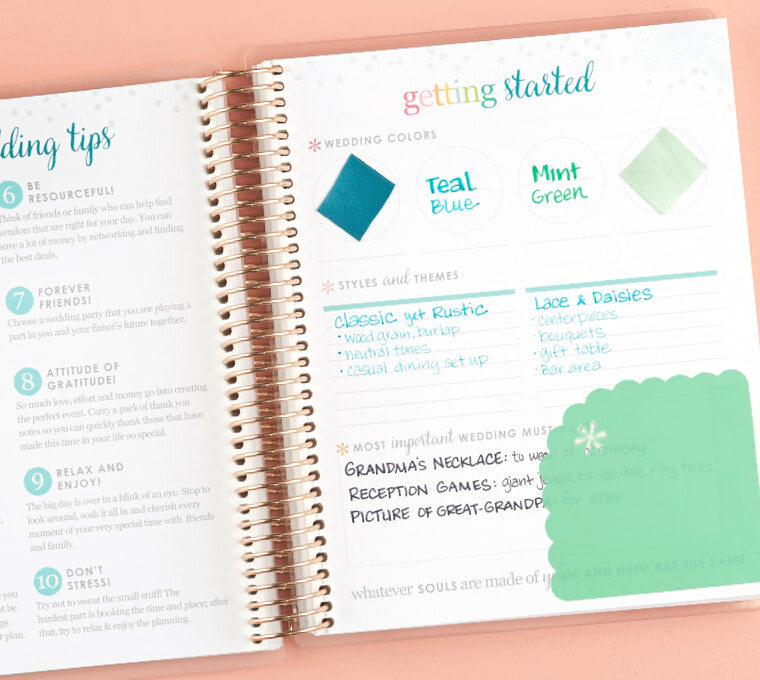 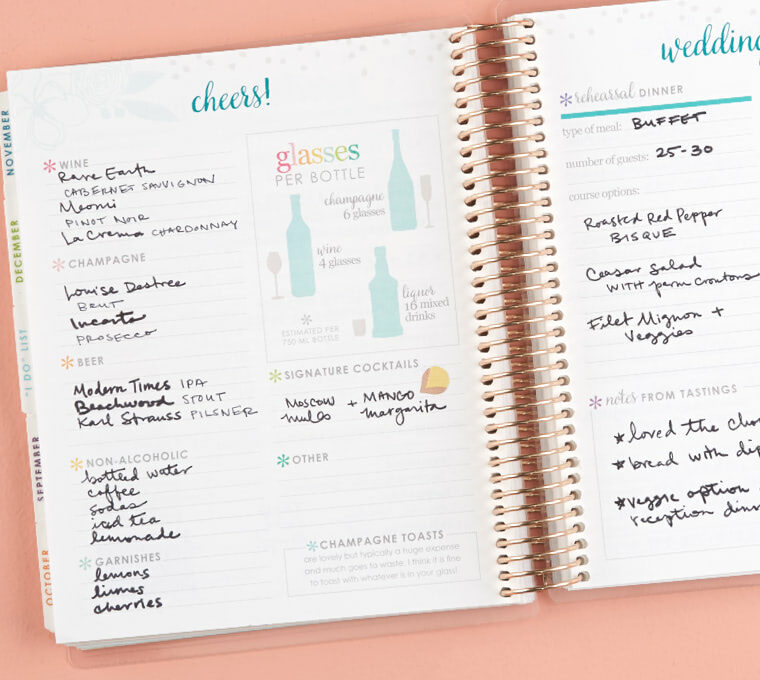 Plan your big day with less stress and more style, with the help of handy checklists that fuse function with fun! – Checklists, Notes Pages, Memory Logs & More! 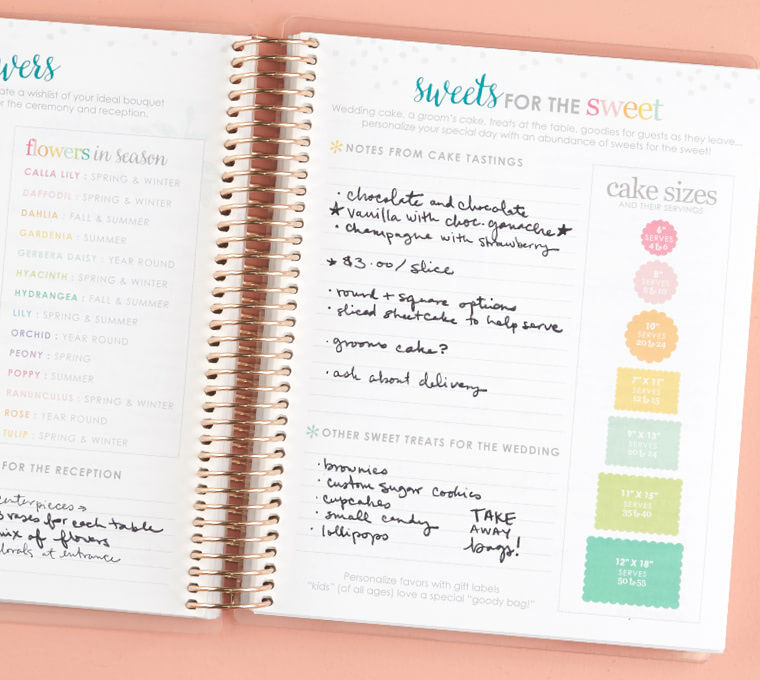 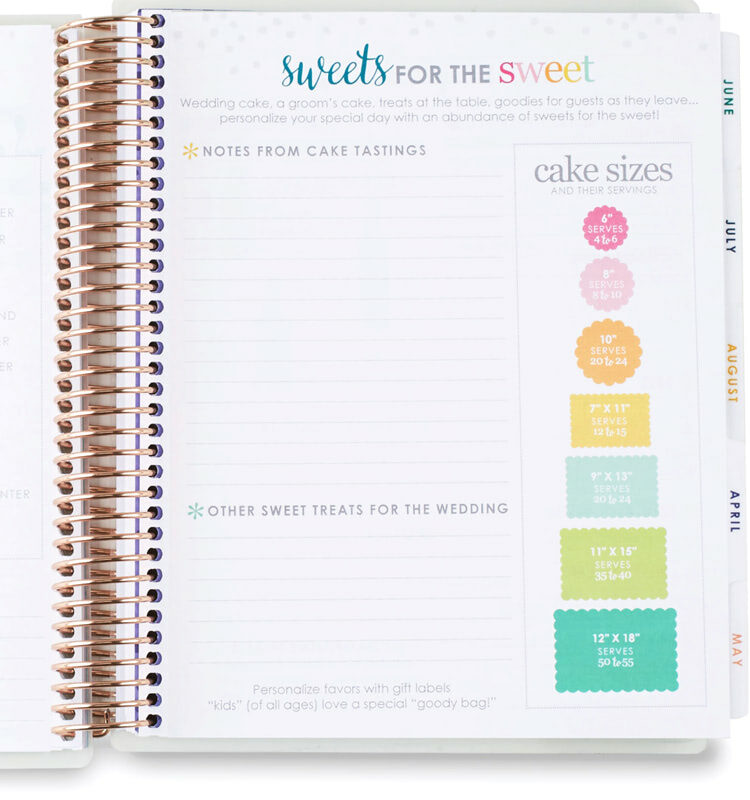 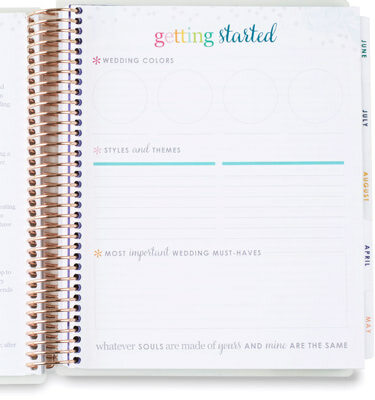 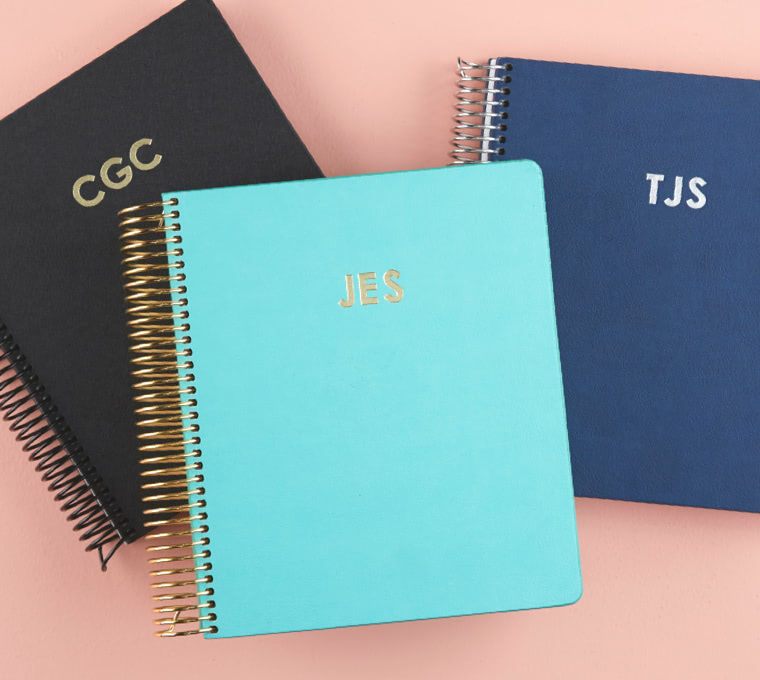 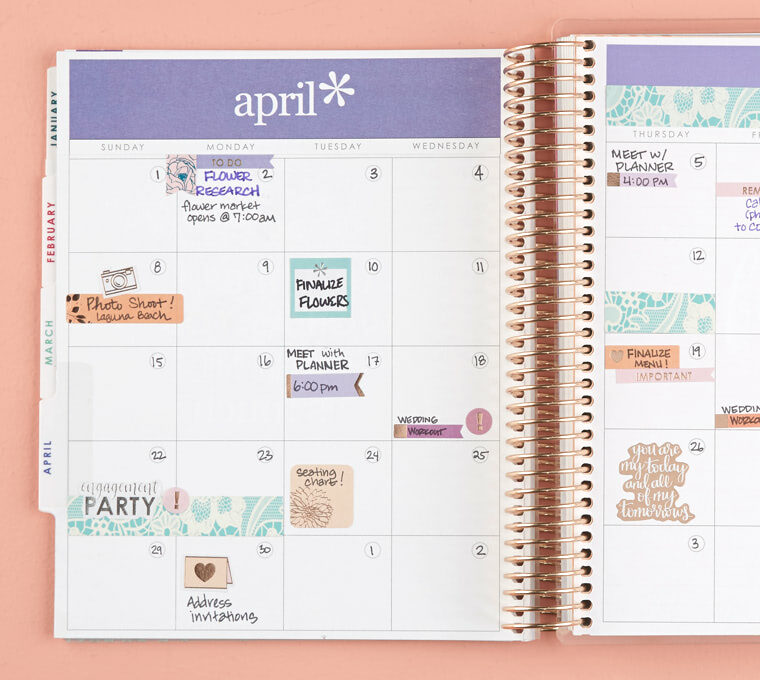 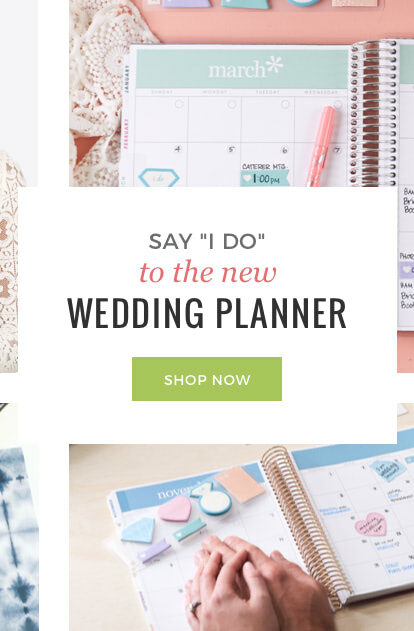 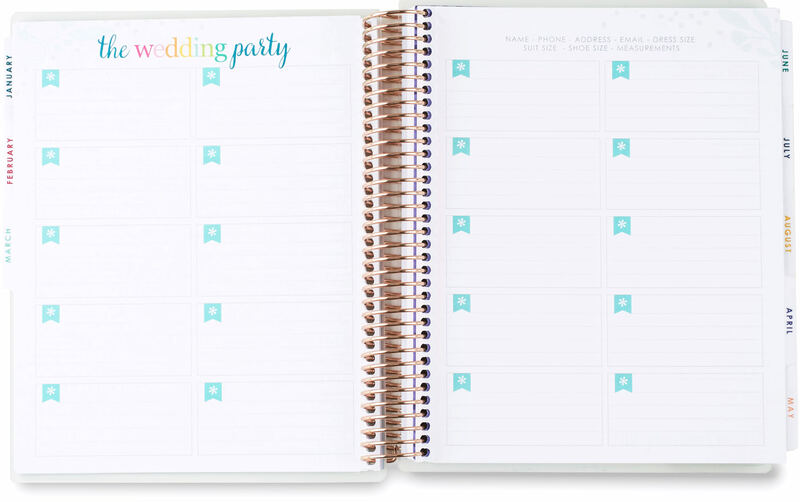 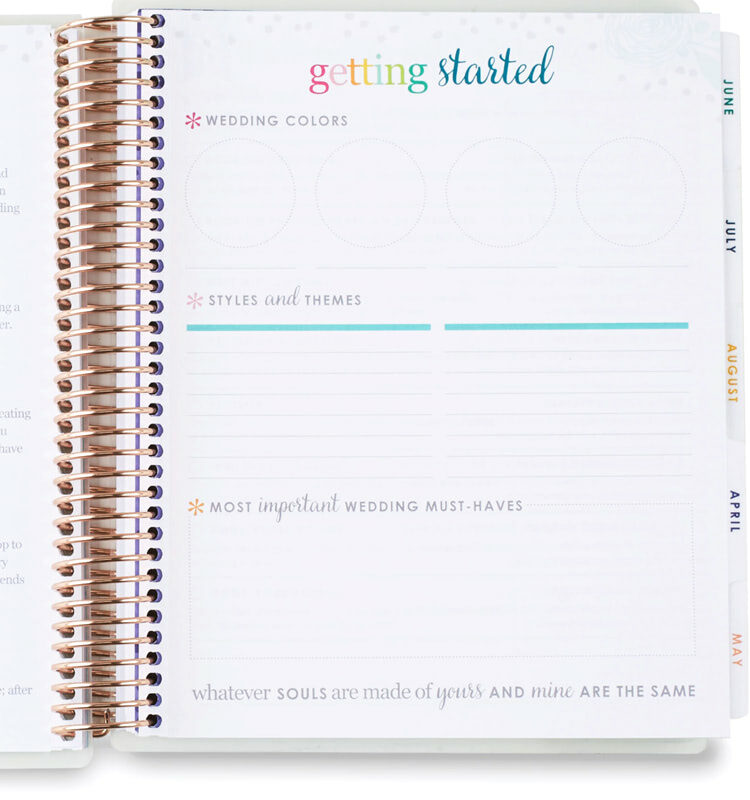 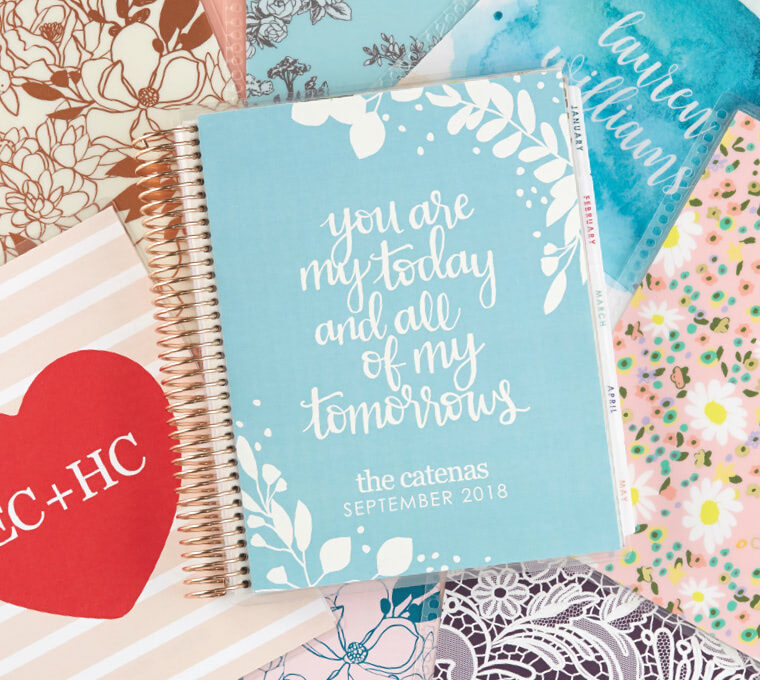 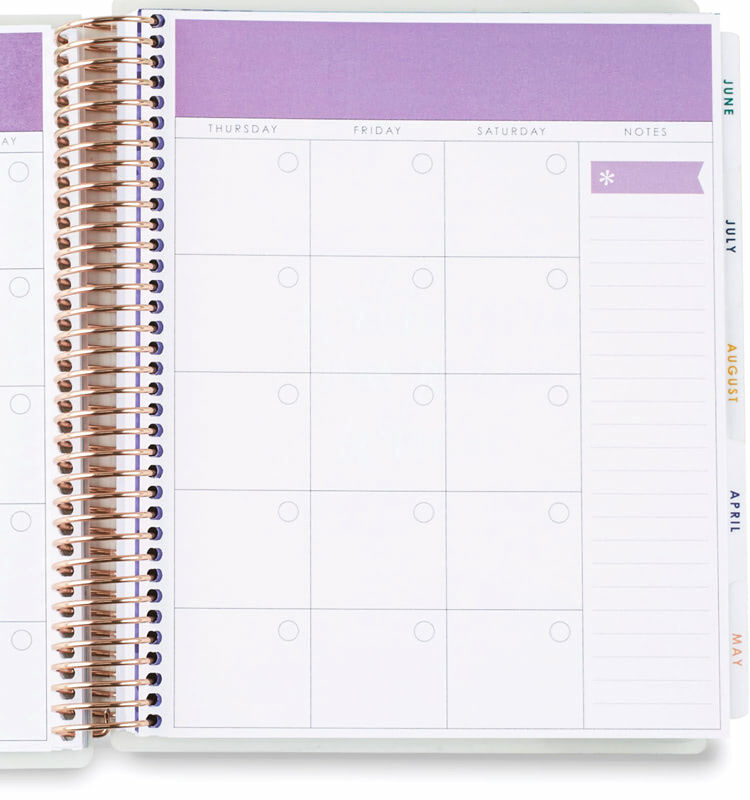 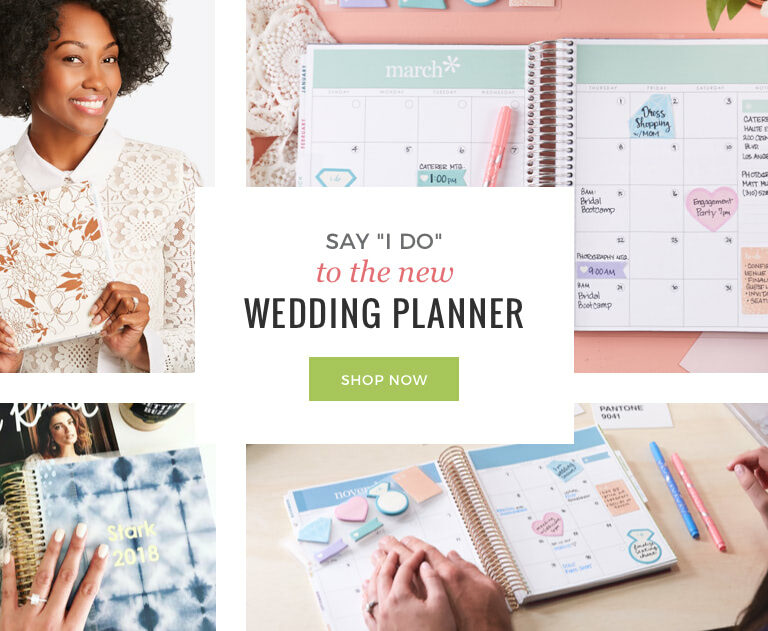 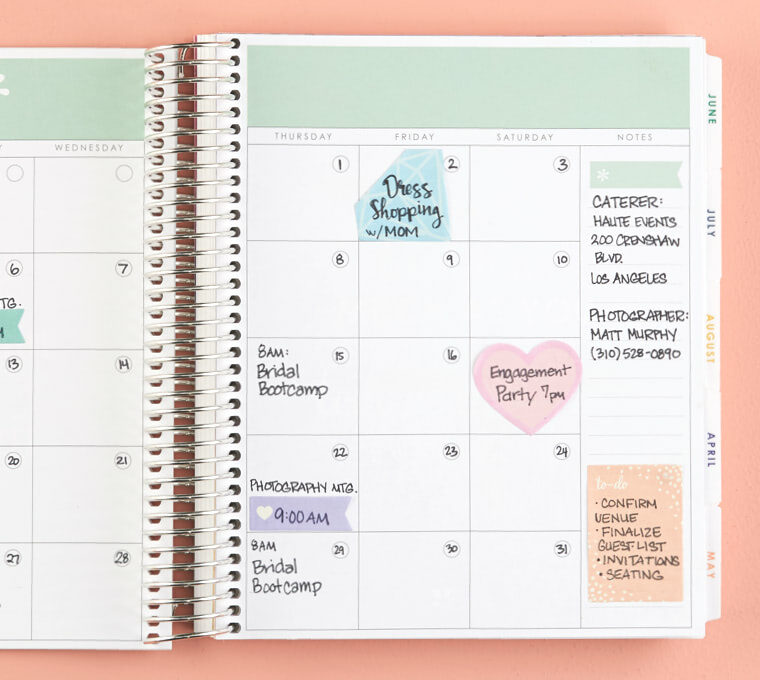 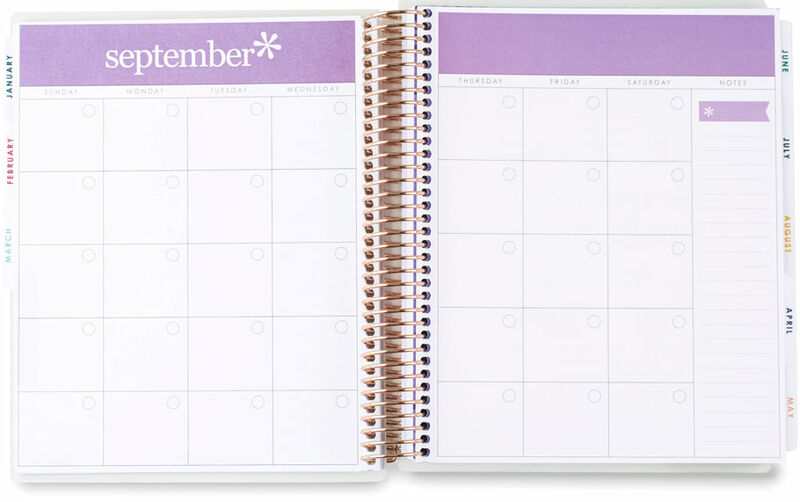 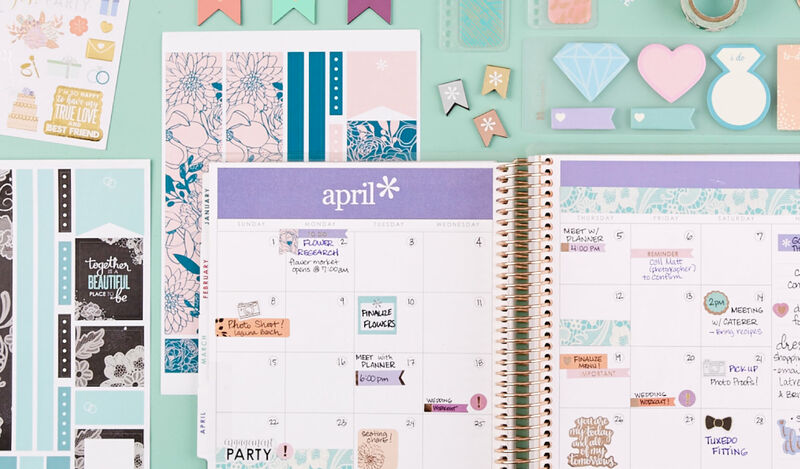 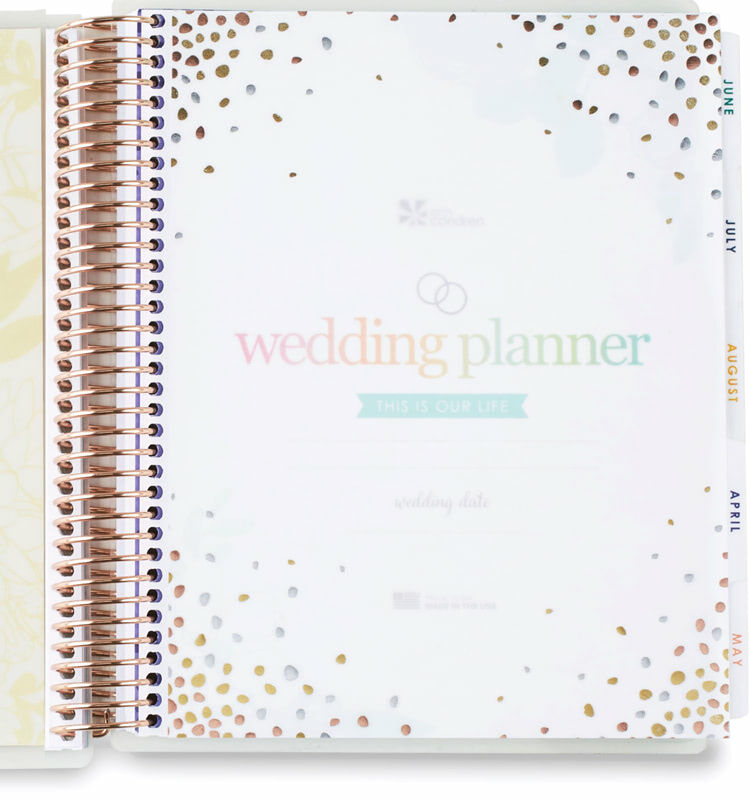 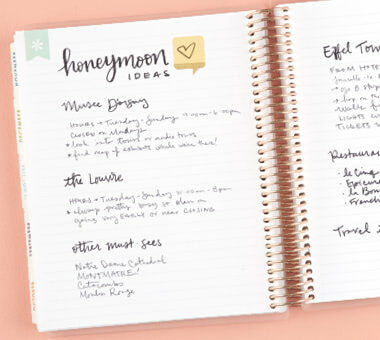 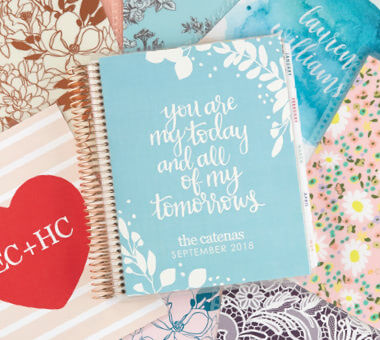 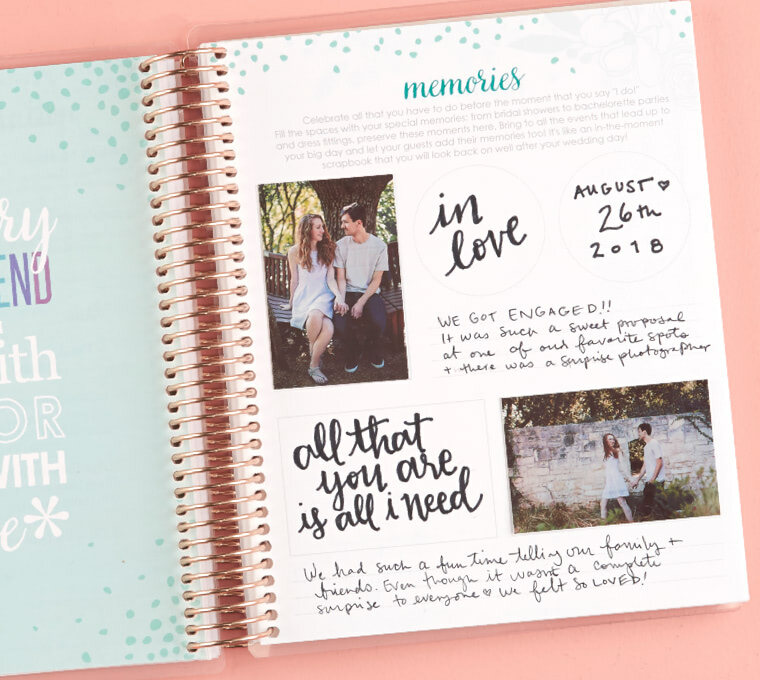 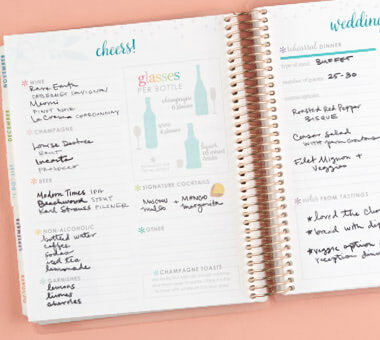 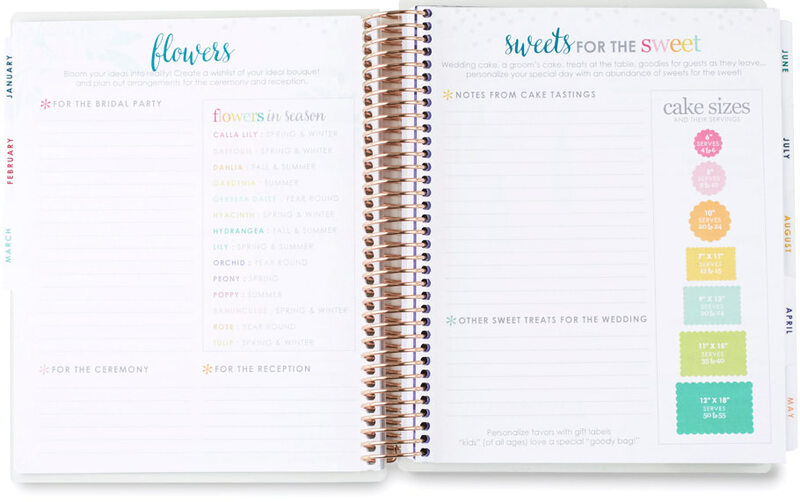 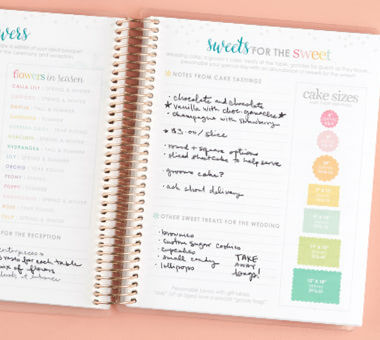 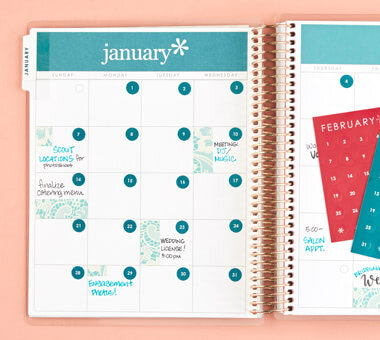 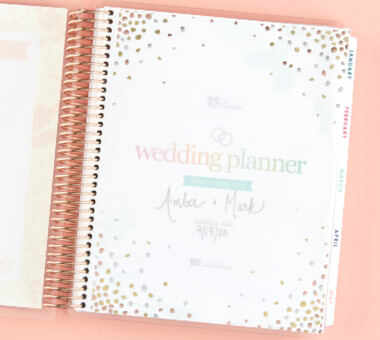 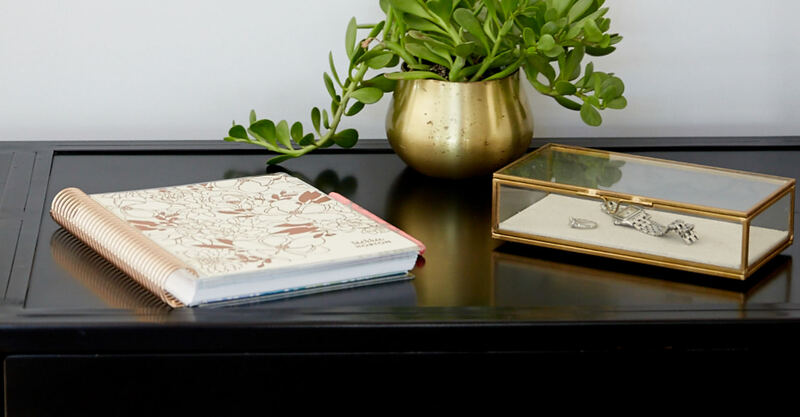 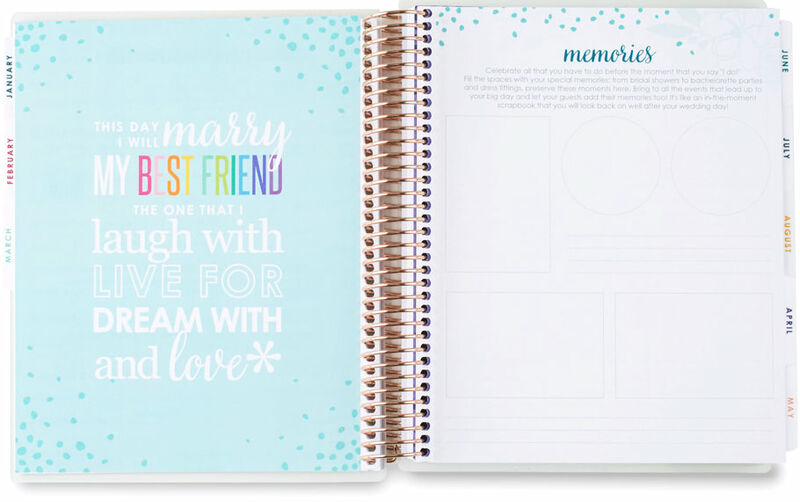 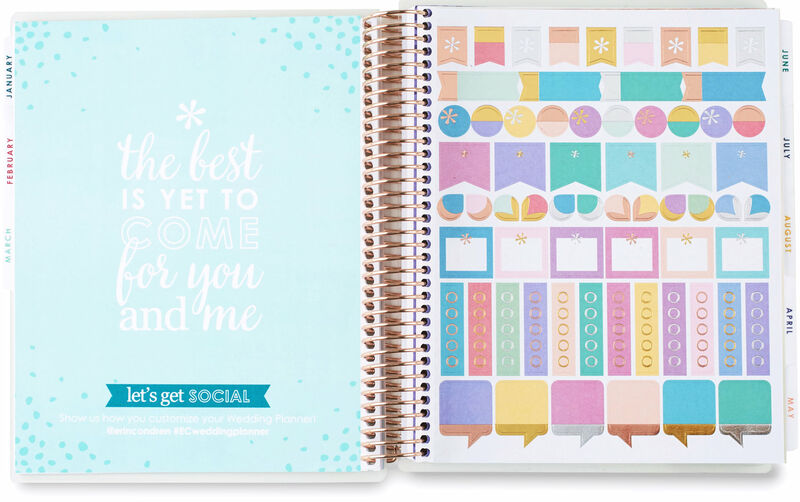 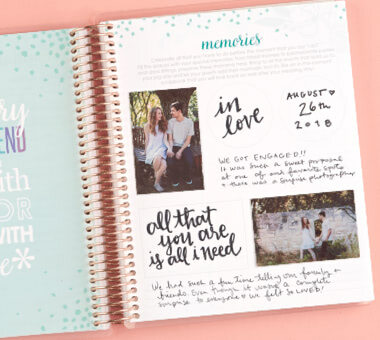 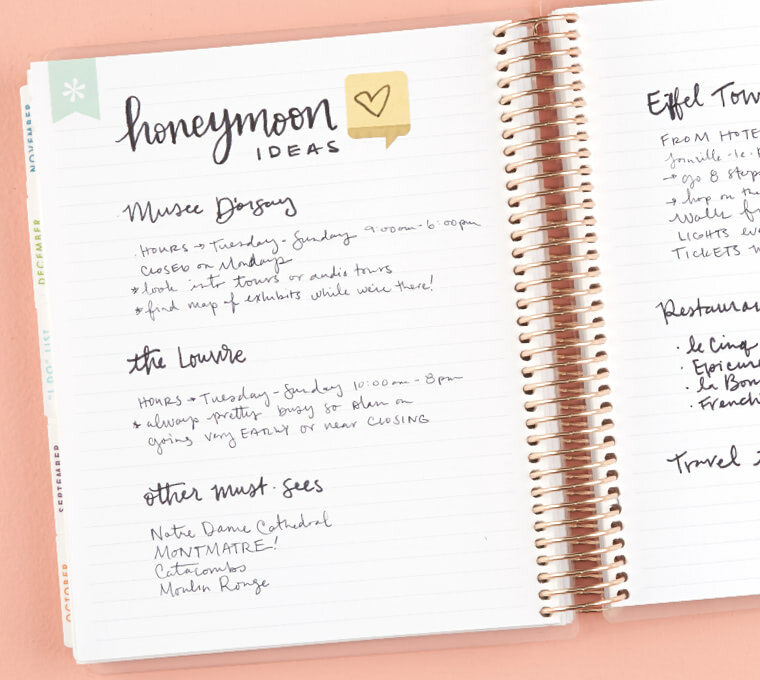 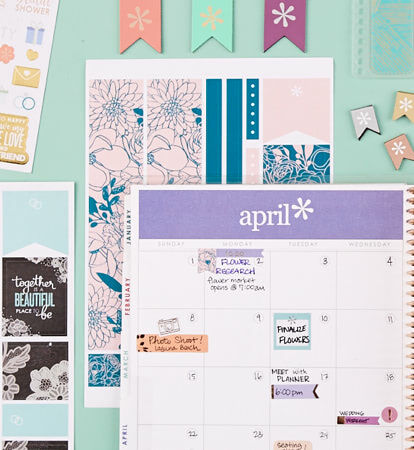 This best-selling planner is the ultimate wedding planning tool! 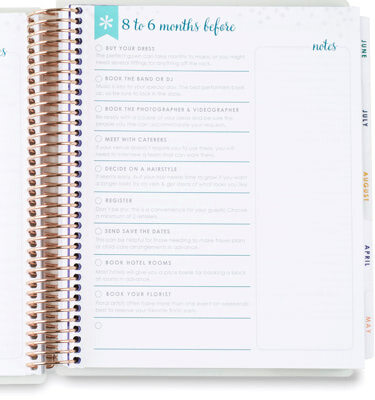 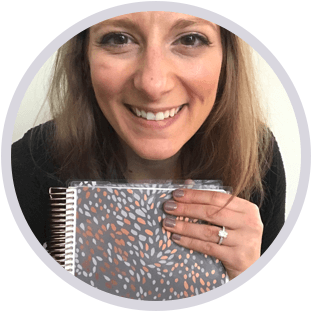 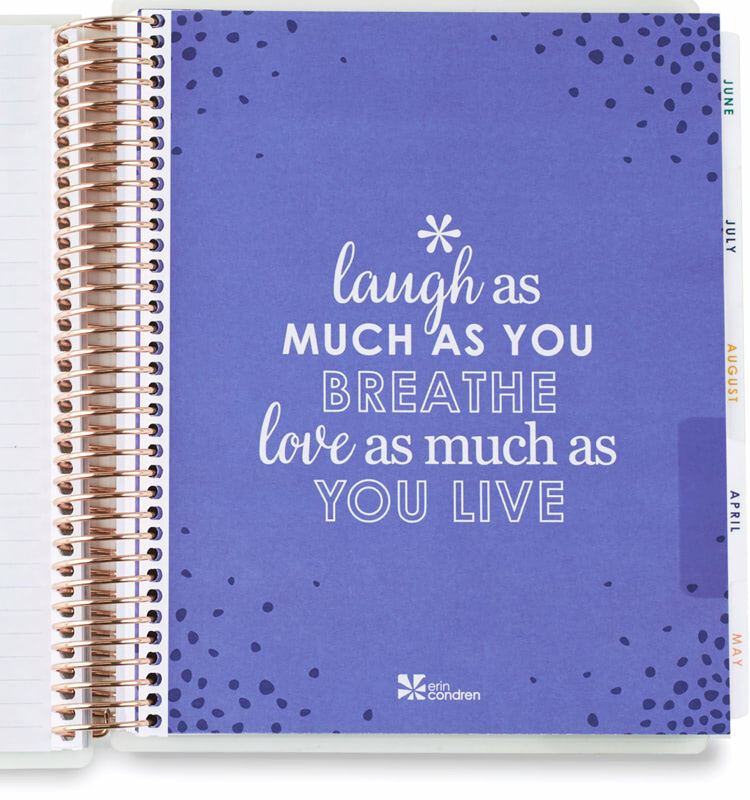 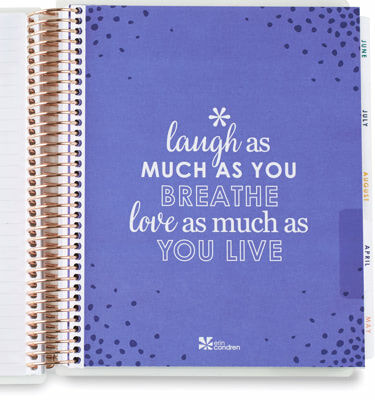 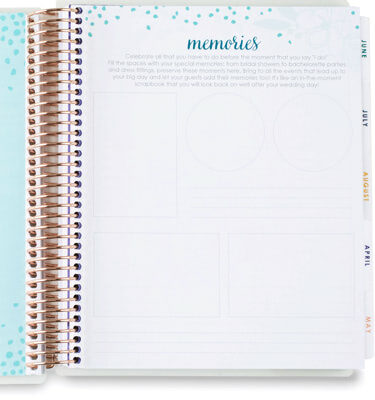 With monthly checklists, notes pages & more, it's your must-have companion on this life journey! Customize the Wedding Planner to fit your needs! Whether you're planning for a long engagement or rushing to check off your to-dos, make this a personalized experience! 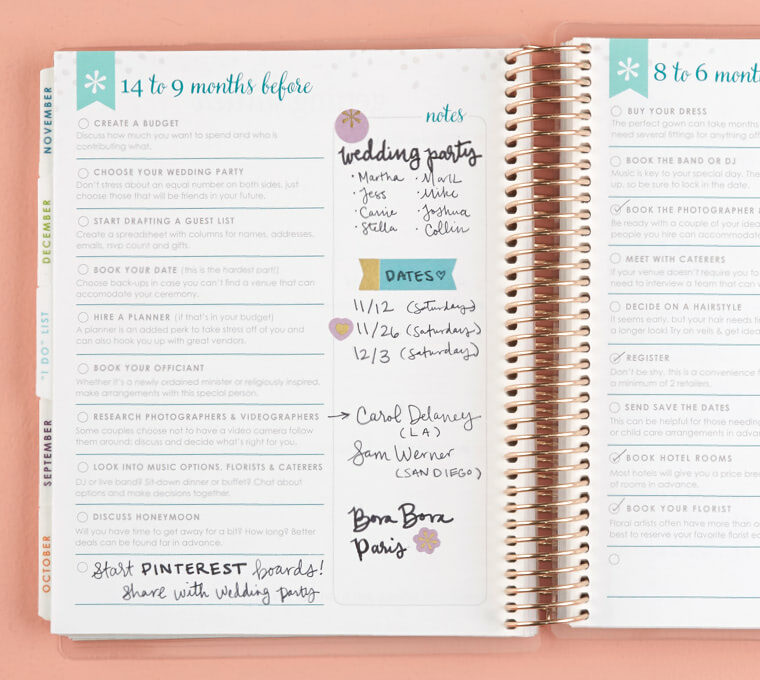 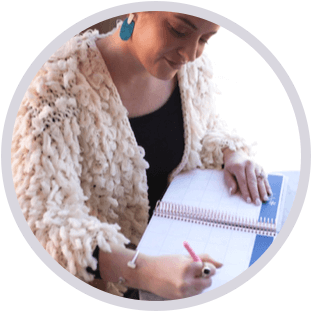 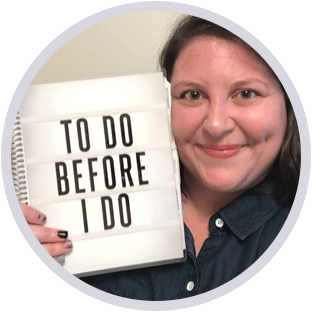 Never miss a step with monthly checklists that easily outline to-dos from 14 months before, all the way to your big day! 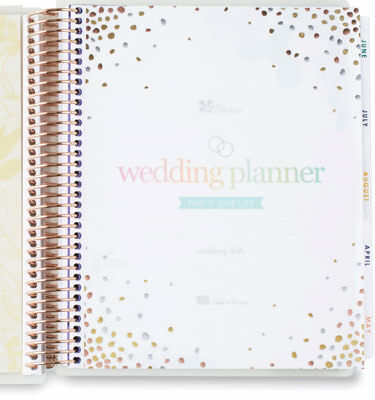 Plan in style for your walk down the aisle with a little help from the EC team! Stay on track with Erin’s top 10 wedding tips & brainstorm your wedding-must haves. Each Wedding Planner comes with a secure and stylish removable interchangeable cover. 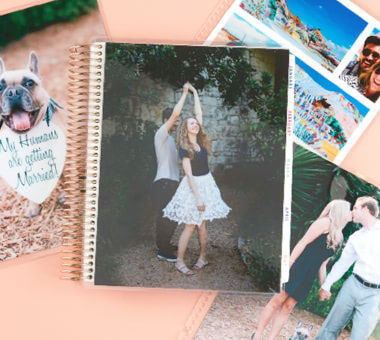 Refresh your design whenever, wherever, or update when those engagement photos come in! 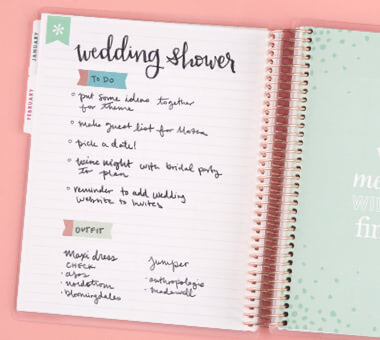 A full 70-page notebook with a mixture of lined and blank pages is perfect for everything from sketching your dream dress to collecting ideas for the big day! 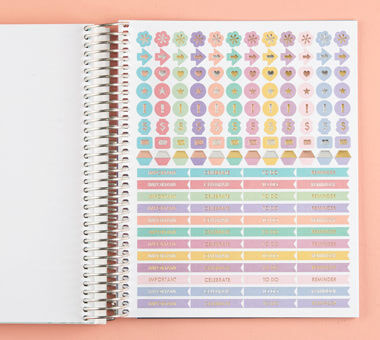 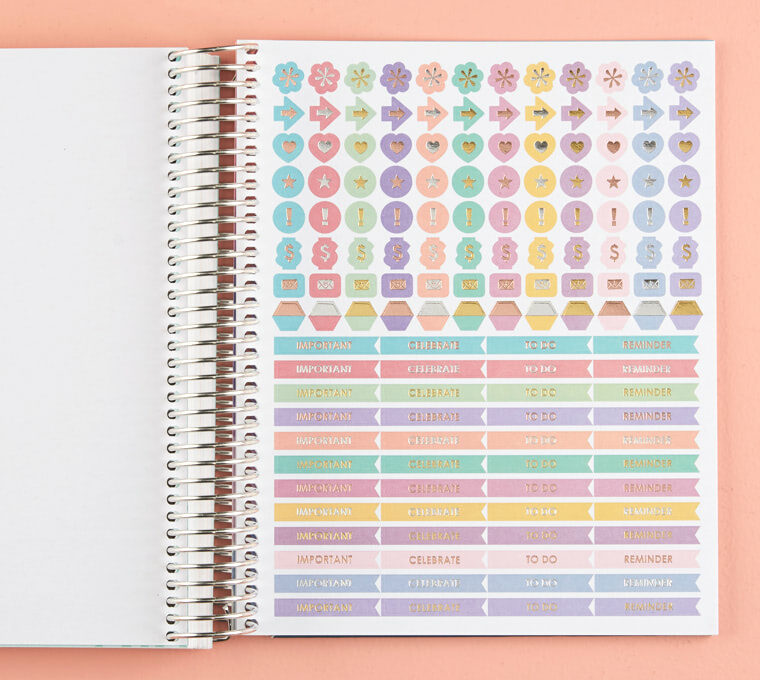 Each Wedding Planner includes four sheets of colorful stickers: two blank and two pre-typed sticker sheets with wedding must-dos! 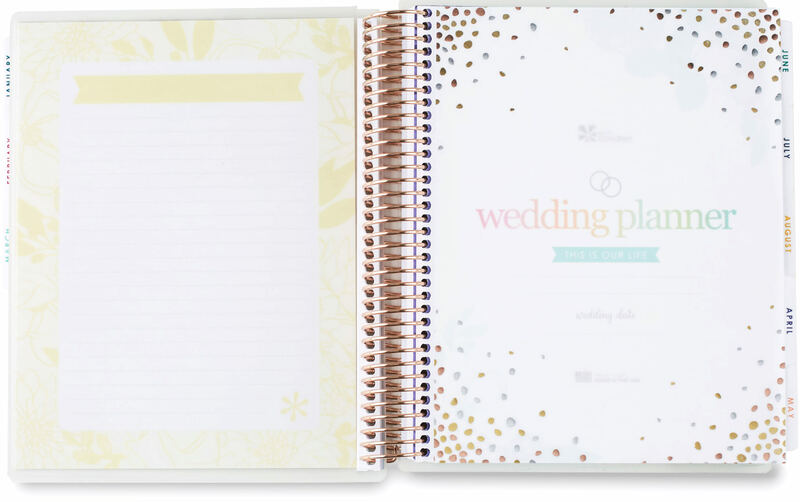 Our wedding planner is made of the highest quality paper so it will last a lifetime as a scrapbook to preserve those special memories! 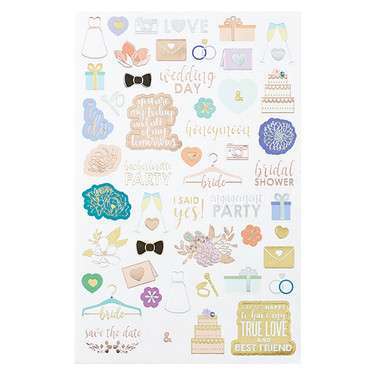 Walk down the aisle in style and say "i do" to a functional as well as fashionable sticker pack full of sweet illustrations perfect for planning your dream wedding! 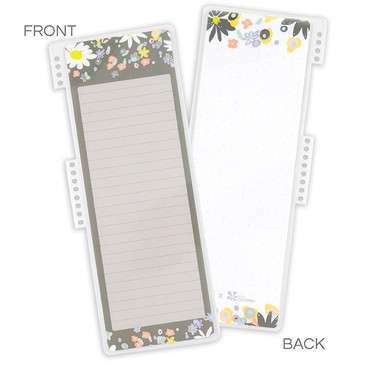 Forget me not with on the spot note taking! 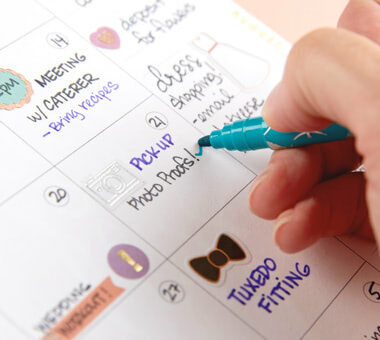 Whether you're jotting down a reminder, marking a page or noting a deadline, stop & stick wherever, whenever. 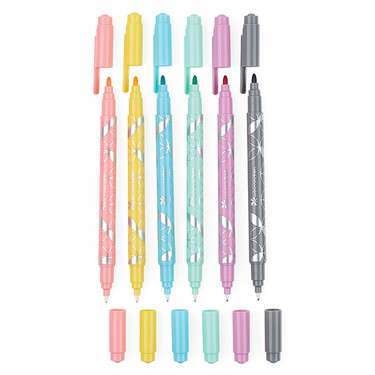 These pastel colored Dual-tip markers give you the flexibility of fine penmanship or larger lines, for artwork, sketches, and everything in between. 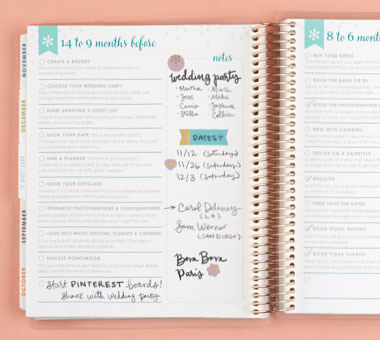 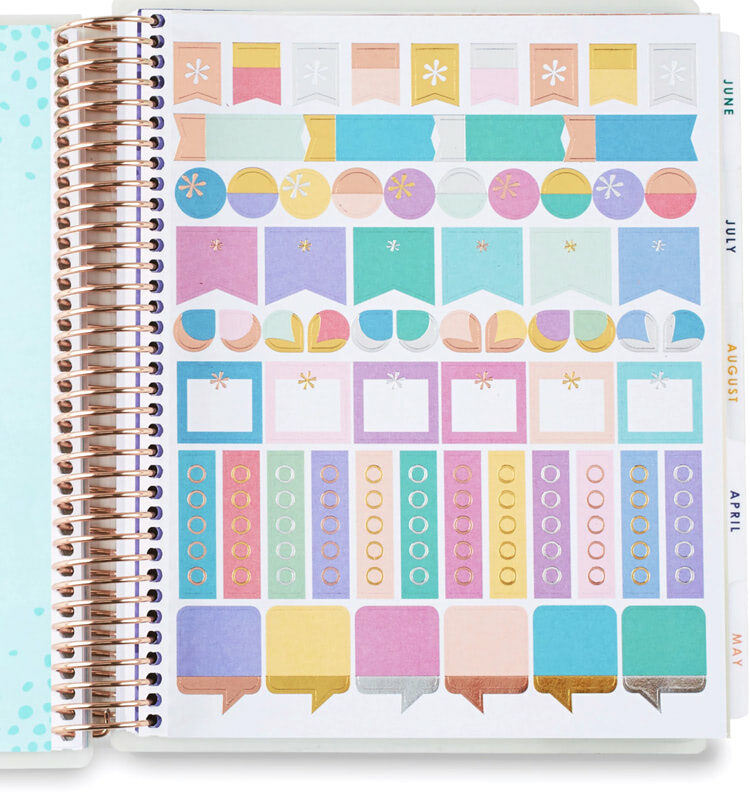 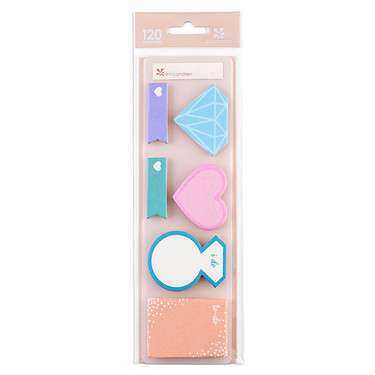 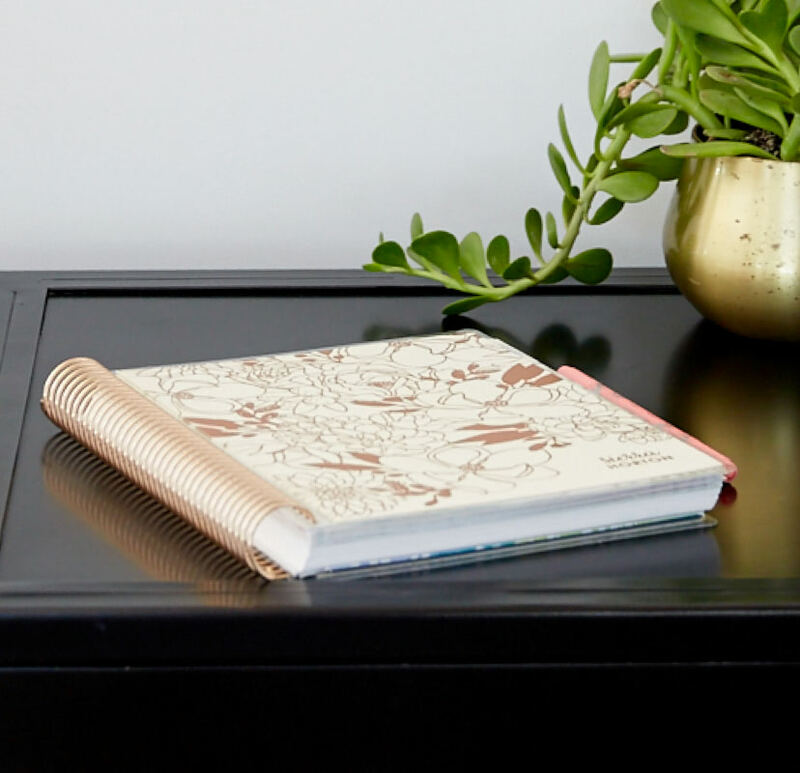 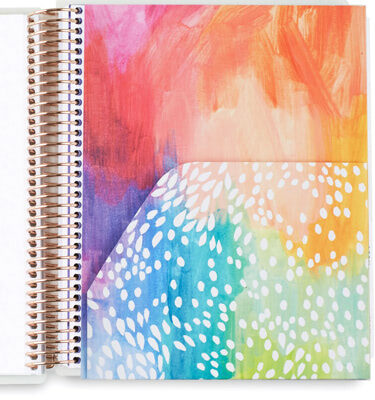 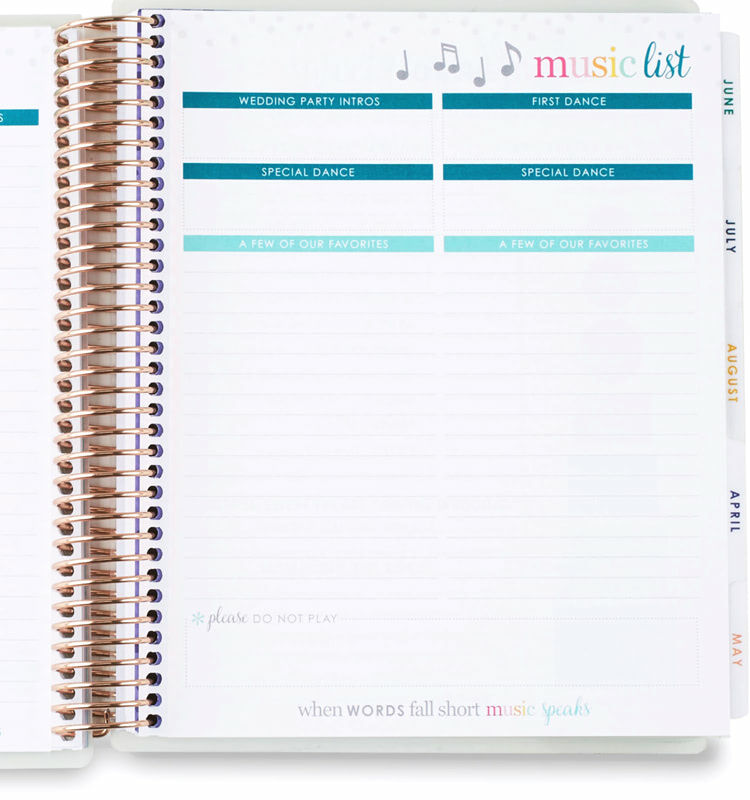 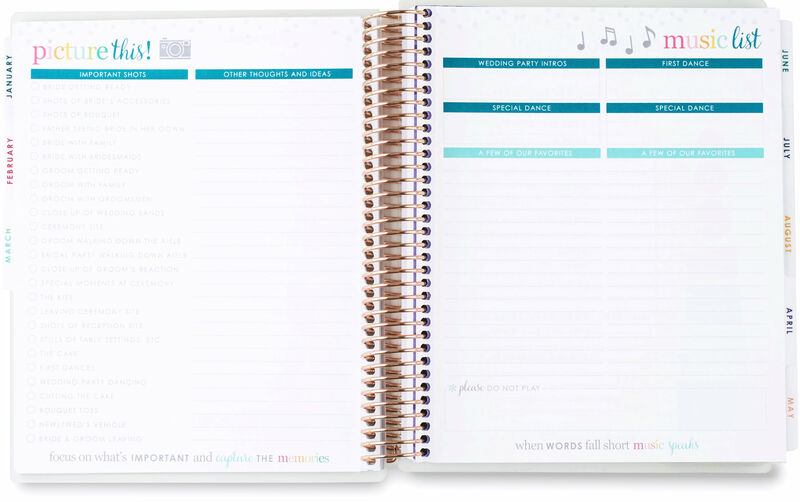 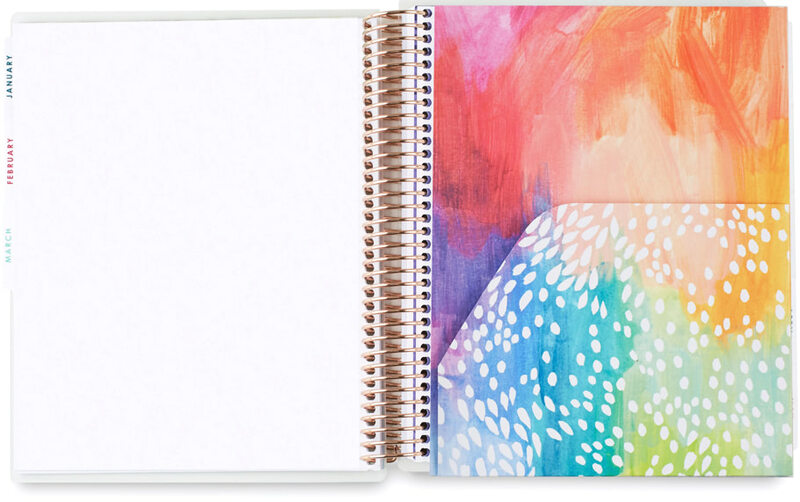 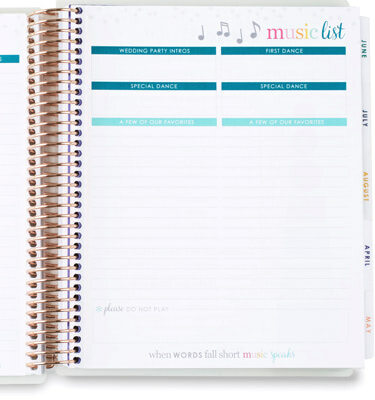 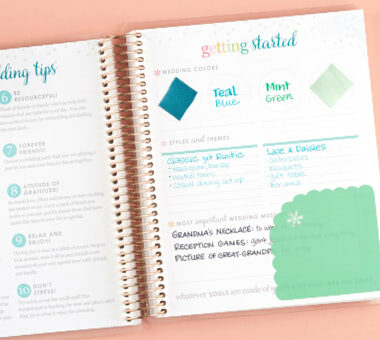 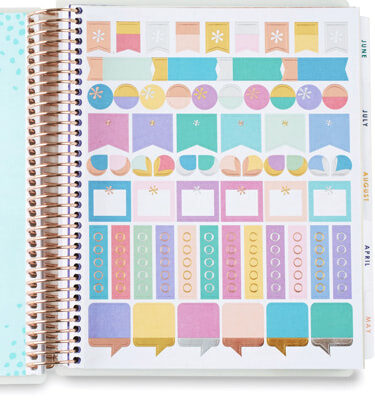 Add a bit of extra JOY to your to-do lists with this Oh Joy! 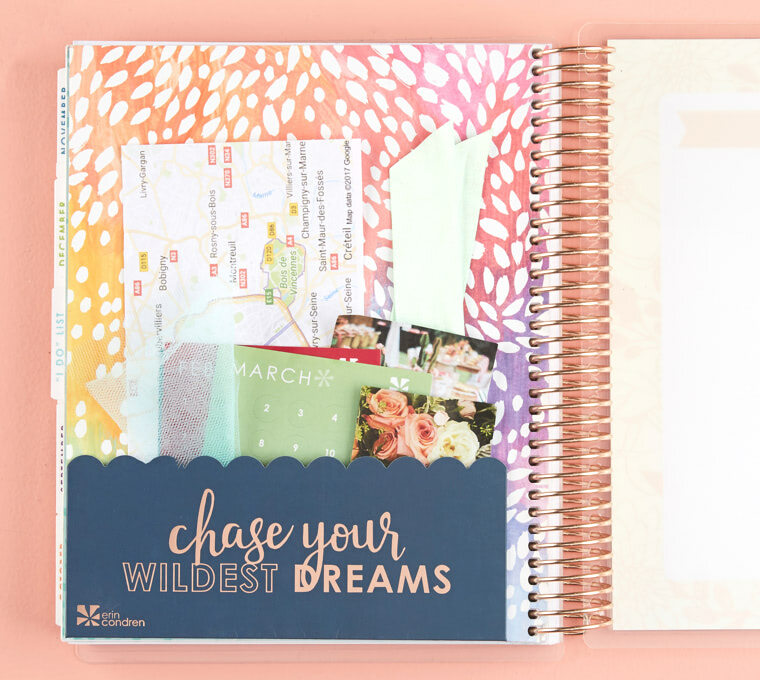 x Erin Condren Floral Festival Dashboard! Snap it in and plan it out! Great for store lists, to-do lists, packing lists & so much more! 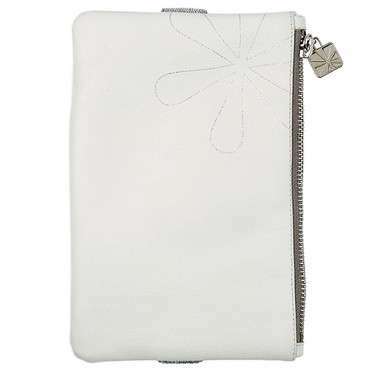 Transport your must-haves with you on the go with this luxurious leather-like pouch. Slip the stylish elastic band over your cover and tuck all the extras inside. 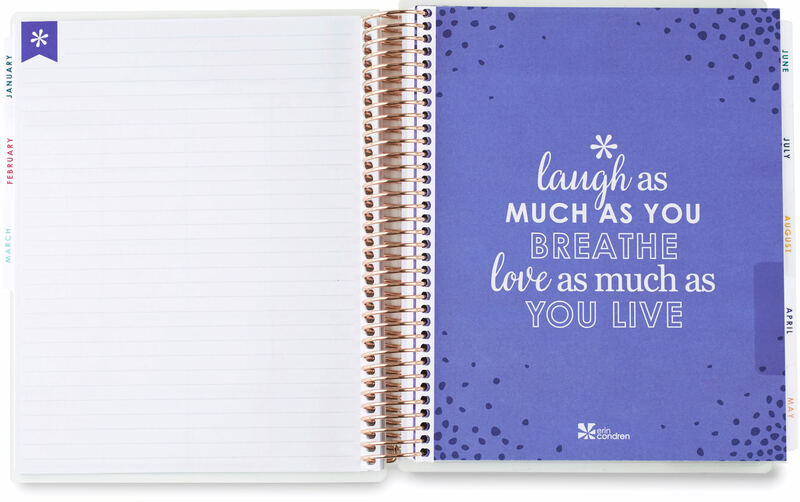 Jot your thoughts & achieve your goals with this portable & adorable journal, featuring 80 pages of lined paper and an Oh Joy! x Erin Condren Floral Festival cover design. 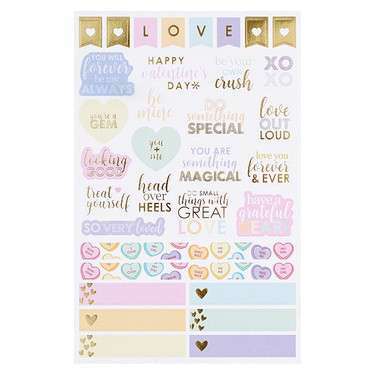 Fall in love with planning all year round with this designer sticker pack featuring 118 stunning mixed metallic stickers in adorable illustrations, motivational quotes, sweet saying & functional shapes! 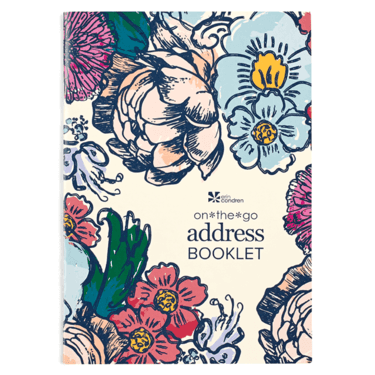 Keep your contacts close to your heart with an adorable EC address booklet! Small enough to fit on your clutch or purse with plenty of pages for your essential information, it's an accessory you won't want to leave home without! 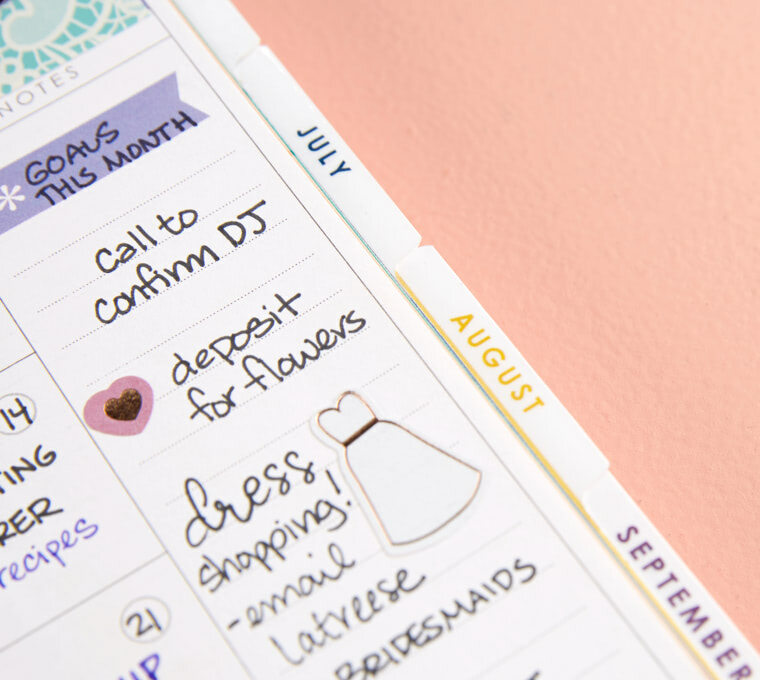 Inspired by lush blossoms in the most brilliant garden, this design's bold & bright blooms are in season year-round.